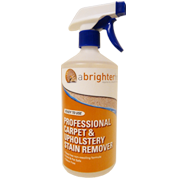 So sell your home faster & get the best price with cleaner, brighter & fresher carpets. 15% discount on any cleaning at your new home before you move in or the day you get the keys. We even leave you a FREE bottle of our Professional strength spot & stain remover just in case of any accidental spills.